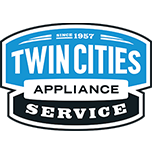 REFRIGERATOR WHIRLPOOL WRF535SWHZ01 "Cust hearing a loud clicking noise coming at intervals, with occasionally a louder thump. Found icemaker turned on but cust does not have water run to unit. Showed cust how to turn icemaker off and warned that if they store food items in the icemaker tray or within range of the icemaker arm and the arm gets bumped back into the on position it could start making noise again. They are having cabinets and counters redone, unit is wedged in right now and frame is not sitting square, that will amplify normal noises too. Told cust to have adequate space for unit made during reconstruction"
WASHER MAYTAG MVWX500XW0 "1-2 and gearcase bad, cust to get new machine"
RANGE WHIRLPOOL WFG515S0EW0 "Installed new front burners and burner caps, tested burners, now lighting faster and with more regularity than before. All ops good"
WASHER MAYTAG MVWB765FW2 "found code with temp problem, Install fill valve ran diagnostics and calibrated unit went thr fine, check for leaks, found nothing tested out good..; used 1 W11165546 (VALVE) from stock"
RANGE WHIRLPOOL WFG515S0EW0 "Front burners not always lighting, checked burner tubes and orifices, all good. Per WP techline ordering new updated burner cap kit and two feont burner heads. Left card with cust to call for reschedule; ordrng 1 W10881749 (BURNER CAPS) and 2 WPW10515455 (BURNER HEAD)s"
MICROWAVE WHIRLPOOL WMH53521HZ2 "Installed new main board and display board. Installed new socket and lamp underneath and removed big glob of silicone from frame. Tested, all ops working, all buttons working, light underneath working properly"
REFRIGERATOR KITCHEN AID KSSC42QTS00 Check fridge over for no functions except lights and control panel . Check voltage to new control board kit and verify good to power supply on control assembly that customer had installed themselves but no dc voltage and most likely a faulty kit. Tech line recommended replacing control kit again and the condenser fan motor and compressor inverter. Customer is going to try and fix themselves . COOKTOP WHIRLPOOL KICU509XBL00 "Unit completely dead, pulled cooktop and removed top, burners and base. Found burn mark on module and blown fuse. Installed new module and reassembled. Configured cooktop and tested, all ops good, burners coming on"
MICROWAVE WHIRLPOOL WMH53521HZ2 "Display failed, will light up entire display as if in diagnostics but heating functions still work. Also light underneath burned out, found big glob of silicone on socket and lamp. Ordering main board, display board, socket and lamp; ordrng 1 8206232A (LAMP) and 1 W10210871 (SOCKET) and 1 W11182110 (MAIN CONTROL) and 1 W11192682 (USER INTERFACE)"
DISHWASHER WHIRLPOOL WDT920SADM2 "Wash motor not working, can hear diverter turning very roughly, and motor coming on but can hear grinding noise. Spray arm turns freely when turned by hand but not getting any water coming theough to arm. Unit filling with water. Needs sump/motor, got part covered per Tim, cust paid for trip, labor and shipping, paid in full; ordrng 1 WPW10671942 (SUMP/MOTOR)"
DISHWASHER WHIRLPOOL WDT920SADM2 "Installed new sump/motor assembly. Tested, motor coming on and running, no leaks. Ran diagnostic calibration cycle, no errors, all ops good"
OVEN WHIRLPOOL WOD51EC0HS00 "Installed new user interface, display now responding and working properly. All ops good, heating normally"
REFRIGERATOR WHIRLPOOL JS42PPDUDE00 The self closing mechanism fell off the middle drawer rail. Operation tested good after clipping back in place. OVEN WHIRLPOOL WOD51EC0HS00 "Unit display froze up in the middle of a wireless update. Display frozen on WP logo. Tried resetting power, even waiting ten minutes with power off. No response to display. Ordering console/UI assembly; ordrng 1 W11297709 (CONSOLE ASSY)"
DISHWASHER WHIRLPOOL KDTM354DSS4 "Unit had not been latching properly- Adjsuter door striker on tub - gain had customer chec Latch working correctly, ran diagnostics, no errors, completed cycle, all ops good"